With an industrial engineering degree from Stanford, an MBA from Wharton, and career experience leading product teams at AT&T Interactive, eBay, Green Dot, and Spot Runner, William Hsu is well suited to his current role as an investor who helps tech startups like Task Rabbit, Retention Science, and Blayze get off the ground. In other words, Hsu is interested in investing in startups that are conducting research and developing technology to support the marijuana industry. Those include businesses that want to improve product efficacy, design retail delivery brands, develop ways to use THC as a painkiller ingredient, or build technology to automate plant growing or bring better yields. Hsu says WeedMaps, an app for finding medical marijuana dispensaries around the country, already makes “tens of millions of dollars a year from advertising.” Two other pot dotcoms, Leafly and Strainbrain, crowdsource reviews of marijuana plant strains. And the software company Potbotics, which Fast Company reported on recently, develops products to match users with the most effective strains for their DNA or brain activity. The website AngelList indexes another 237 marijuana-related startups as well as more than 1,500 angel investors backing them. 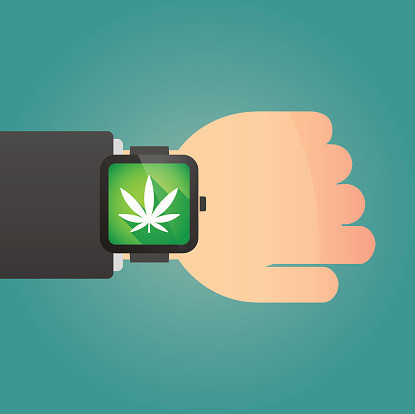 Indeed, the pot-tech sector is getting the attention of some major money. Peter Thiel’s Founders Fund made headlines in January when it took a minority stake in the holding company that owns Leafly. And rapper Snoop Dogg revealed in February that he is investing in cannabis tech companies too.